The One Laptop per Child Program's main goal is to empower the world's poorest children through education. This is a program that is known world-wide and Uruguay, South America is not an exception. Over the past two years, the program has involved 362,000 students and 18,000 teachers in Uruguay. The program was the brainchild of Nicholas Negroponte. The program, which was originally thought to be doable for a cost of $100 for each computer soon proved to be more expensive. The current cost has been $260 per child. This does include the maintenance, repairs, training and Internet connection. The plan in Uruguay, "Plan Ceibal" or Education Connect, is more than just the giving of computers. "It is a programme which seeks to reduce the gap between the digital world and the world of knowledge," according to Miguel Bechner, who is the director of the Technological Laboratory of Uruguay and in charge of Education Connect. The XO model computers are about the same size as a textbook. They are lightweight and can be used as a standard laptop, for reading an e-book and for playing games. The rugged design includes rounded edges and a sealed keyboard in most models. A handle that is just right for kids has been added for portability. The design was one of the first considerations. The computers were designed to be distinctive so there would be no doubt as to what their use would be and for whom they were intended. The computers allow constant connectivity. Children can connect to each other without the need for hardware. setting, the computers can be connected for sharing ideas and activities. 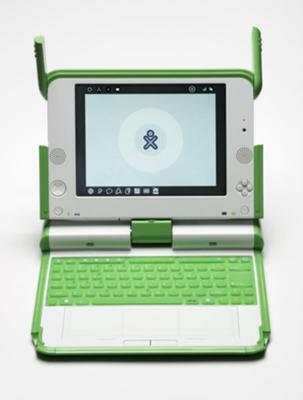 The XO, as part of the One Laptop per Child Program were also designed without a hard drive, eliminating the chance of a crash. They have two internal cables and the plastic that surrounds the machine is 2mm thick, unlike the typical laptop, which is 1.3mm thick. The computers were given to approximately 70% of children in Uruguay that did not have home computers. They do not have any toxic parts - even the batteries do not contain heavy metals - and the long-life battery has an extended recharge time. They have been extensively tested in the factory as well as in the field and should last at least four years. One of the considerations of the program in Uruguay, as well as other areas, was to prepare children by developing a passion for learning. The computers provide the ability to learn. With the rapid changes taking place in technology, this is a crucial step in the preparation of children for the future. The ability to work with others is enhanced and the limits of location are erased. By providing the resources necessary and the opportunity, the tools needed to allow children to learn how to contribute to making the world a better place are provided. One Laptop per Child project is Uruguay. As the first major country to provide a laptop to every child in elementary school, they have taken the initiative and others have followed. There are similar programs in Peru, Argentina, Rwanda and Mexico. In the process of initiating programs are the countries of Mongolia, Gaza, Ethiopia, Haiti and Afghanistan. Join in and write your own page! It's easy to do. How? 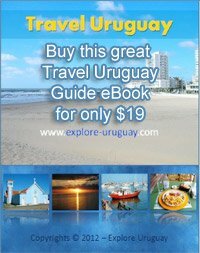 Simply click here to return to Interesting Facts About Uruguay.